The ERGO-PAK™ SHIPPER AND OVERPACK BOXES Shipping System is perfect for shipping steel or plastic pails without the $9 UPS “Additional Handling Charge” for unboxed pails. The package is specially designed for all 5 gallon pails. The ERGO-PAK™ Shipper is for non-UN materials, by adding the ERGO-PAK™ Overpack you can now ship UN materials. The special ERGO-PAK™ Insert is used to keep tight-head pails snug and avoid excess movement during shipping. Ergonomically positioned hand holes are located on the sides for easy lifting and handling. 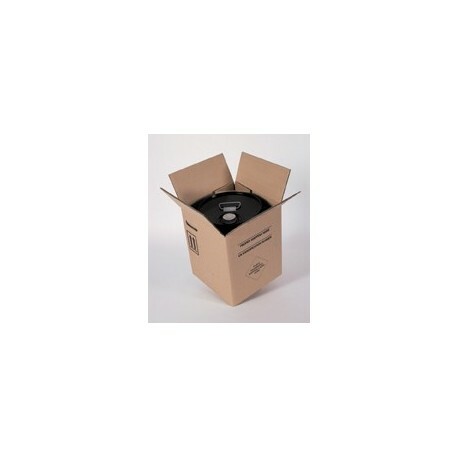 This packaging exceeds UPS requirements and protects pails from damage.